As child, I cannot recall wearing or tearing a hole in my jeans – ever. I was not the adventurous type. I did the normal kid things, like riding bikes and rollerblading and climbing trees and hopping fences. I skateboarded and played on jungle gyms and ran through fields. 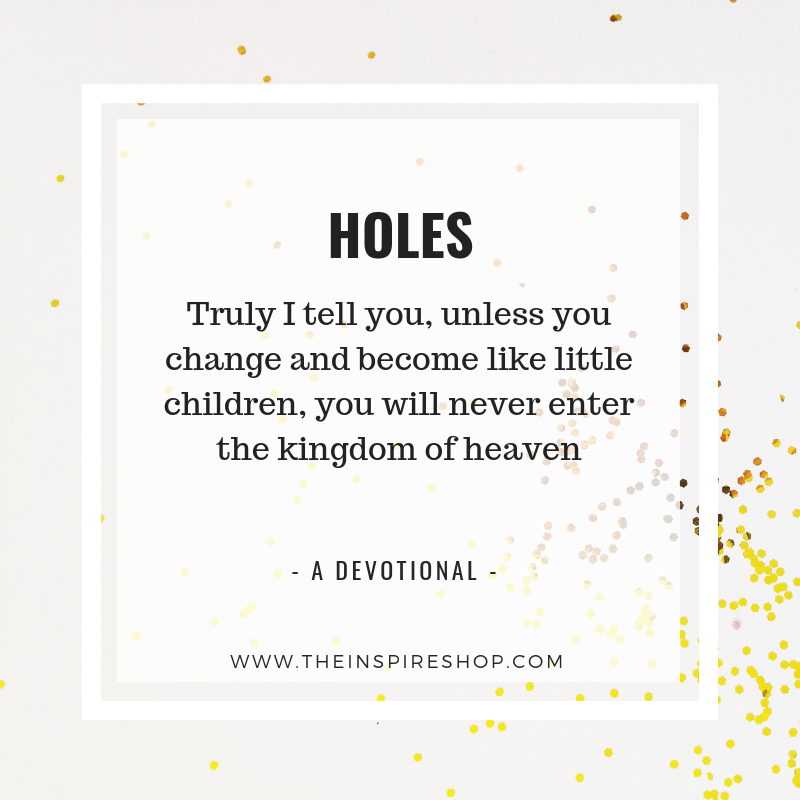 But holes seemed to escape me, perhaps my days of reading and creating outnumbered those of activity or my balance and careful nature kept my clothes intact. It was not until I started answering to Mama that I noticed the knees becoming worn in my pants. A slight discoloration at first, leading to more - until the thinned out fabric finally gave way to tears. Days spent playing “mama monster” chasing kiddos around on all fours and horsey rides and all sorts of acrobats around the house have played in to my new fashion statement. But so much more during this time tore than the holes in my knees. Answering to Mama has been a journey of God healing and showing me what it means to be a daughter and his child and challenged me more than anything I have known. Perhaps it is equal part responsibility and understanding how big my impact is on my children for their lifetime, along with understanding God as father more and my place as his daughter and trusting him in this parenting endeavor. The friction on my jeans has been correlated to the friction of my heart, as the Lord has softened it and continues to mold it as a reflection of his child; showing me what it means to take the lowly position of humility and obeying him. It is has been filled with lessons of letting go and trusting. A deeper faith in the letting go. Letting go and allowing laughter to be the best medicine ringing through our home as the holes form and rip. As I watch my children proclaim scriptures to each other and believe God for the impossible and believe in the prayers that they pray. Their faith is ever increasing mine. As summer gives way to fall and my jeans are ready to make their entrance, I find comfort in the holes and worn out look they have embraced. Sure, I will grab a few new pairs, after all the workouts this year it is more like a need, but there is nothing like the familiarity and comfort of an old pair of worn in jeans. In seasons to come with my ever growing children, playing on the floor will surely give way to drop offs for practice and homes of friends, wearing out tires, instead of jeans. So for now, these holes are for the taking. They are mine. Given to me by the grace of God, as he has gently showed me how to lean into play and laughter even when I have been tired and weary to the point of falling asleep on the floor for just a few moments until some realized my eyes were closed. They have been worn throughout the transformation process, as the Lord has showed me what it means to be his child. To have child like faith. Here’s to seasons and changes and embracing the brokenness and beauty that stems from the growth and work put into each one. + Read Matthew 18:1-5. Notice how it starts with the disciples asking who is the greatest. + Research the status of children in Jesus’ culture. How were they valued or undervalued? How does this affect your faith and understanding of what Jesus was referring to? + When you think of child like faith what words come to mind? Is there a current situation where the Lord is cultivating child like faith in you? Praying you can count it all as joy as your hardest days wear out more than just your clothing. Praying you can see where the Lord is opening your heart to his compassion, even when it feels like it is tearing beyond repair as he enlarges it in ways only he can. Praying you have the perseverance to keep going when things start wearing out, knowing that God is for you and goes before you.